The Birthplace of Jazz. The Crescent City. The Big Easy. 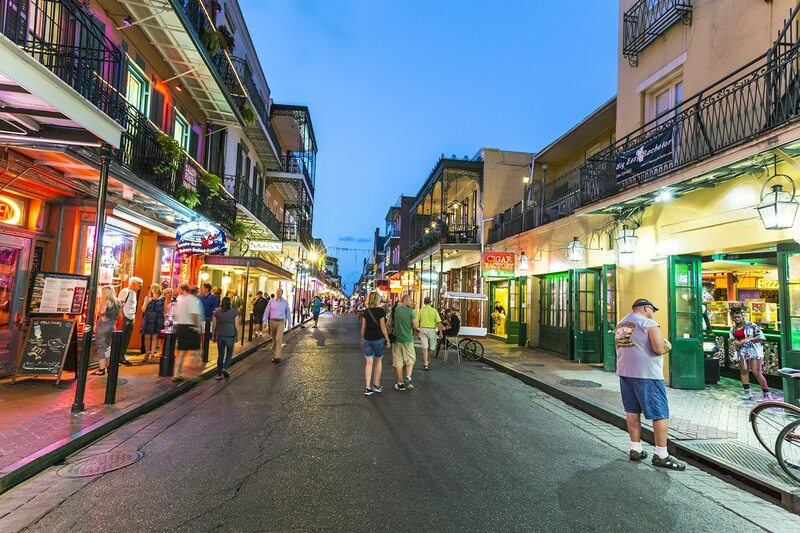 The diversity of New Orleans’ historical and cultural influences finds its expression in the music, cuisine, architecture and arts of this vibrant and exciting city. Groups can explore every facet of New Orleans, through walking tours of the Garden District and French Quarter, riverboat cruises on the Mississippi, ‘haunted’ tours of the historic above-ground cemeteries, swamp tours in the neighboring countryside, or plantation tours which bringi the complicated history of the area to life. From a morning beignet and café au lait to an evening’s jazz concert at historic Preservation Hall, your days in New Orleans will be full and memorable.